The Brunswick Trust is a dynamic, evolving, and all-encompassing initiative focused on enhancement of faculty training, curricular offerings, and student experiences. Through the exceptional generosity of our School community, it includes the Class of 2013 Faculty Institute and the Class of 2015 Distinguished Visiting Lecturer Program, both key instruments in promoting sustained excellence in character and leadership education. 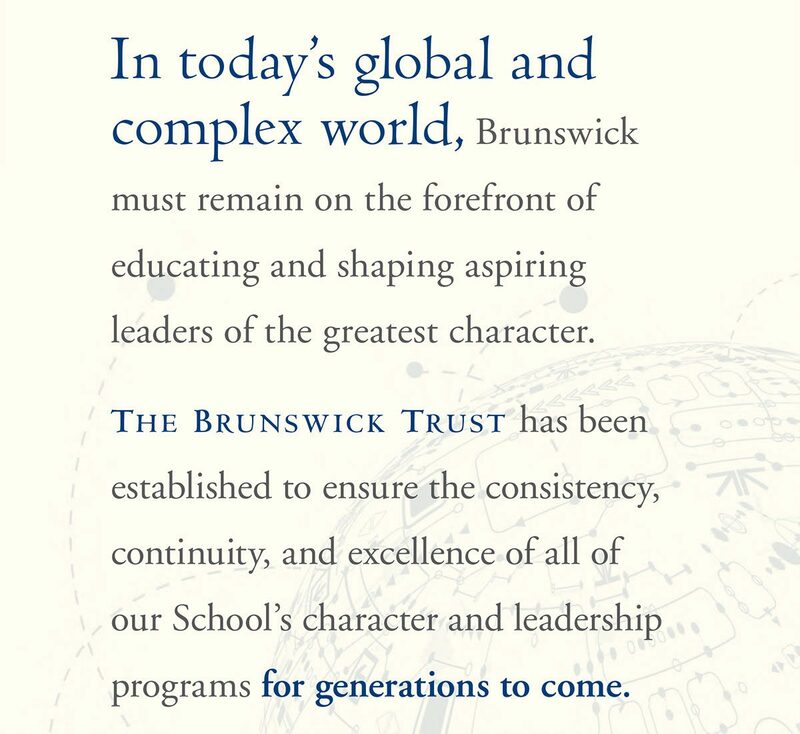 As it continues to grow, The Brunswick Trust will also direct and renew attention to the ordinary and extraordinary things we do — great and small, every day — to instill in our boys the drive and dedication to become the best young men they can be.